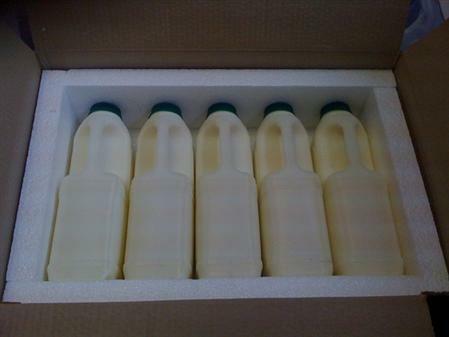 Those of you following my twitter will know I recently stumbled across a nationwide raw milk delivery service provided by Hook and Son. 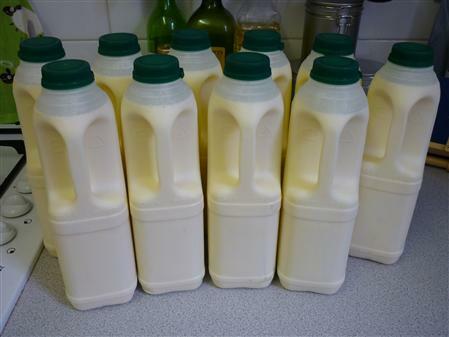 I ordered 2 x 10 pint boxes of raw milk on Monday morning, and come Wednesday I had a package marked “Do not crush – milk!” sitting on my desk! 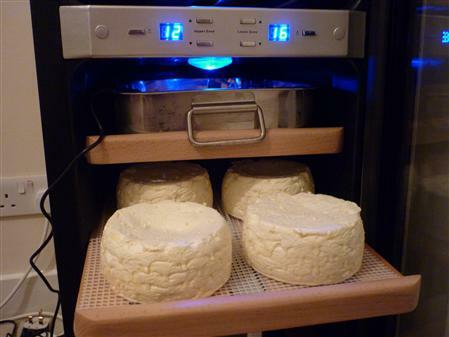 It sat in the fridge till the weekend, when I was able to start work – this time, some Camembert. 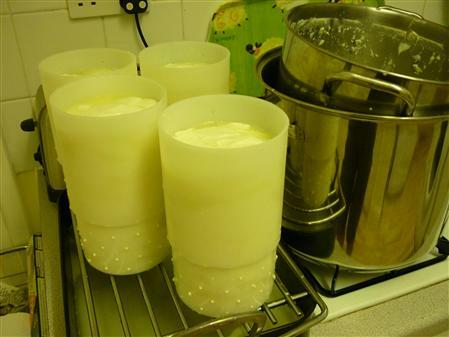 Unfortunately the stock pot would only hold 18 pints, so the rest of the milk was happily consumed by the cats. 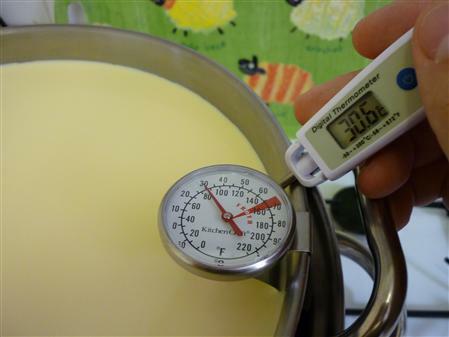 I recently bought a new analogue dairy thermometer with clip to make it easier to monitor temperatures – seems quite accurate when compared with old digital one which is handy! After heating to 30C, an extremely small amount of DVI starter was added, as well as a tiny pinch of rehydrated Penicillium Candidum. After 30 minutes, when the pH had dropped from 6.7 to 6.5, added diluted rennet and stirred gently for a couple of minutes, then left to set while maintaining a temperature of 30C. Clean break was achieved after around 6 hours, when the pH had dropped from 6.5 to 5.4. 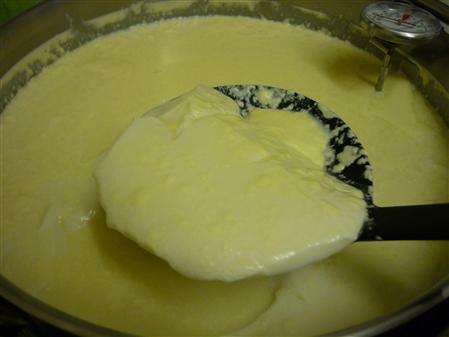 The milk was exceptionally creamy, much more so than the Jersey milk i’ve used in the past, so had to skim off the milk to get the curd. 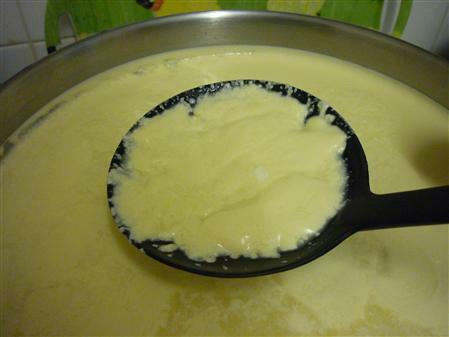 No curd cutting traditionally involved with Camembert – curd is ladelled directly into moulds and drained. 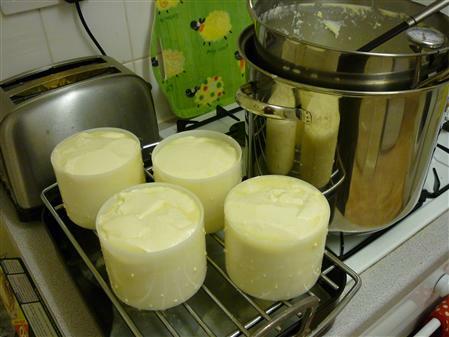 Currently draining overnight, to be turned tomorrow morning, then salted tomorrow evening – they’ll reduce in size by about half, so should fit nicely in the lower moulds. 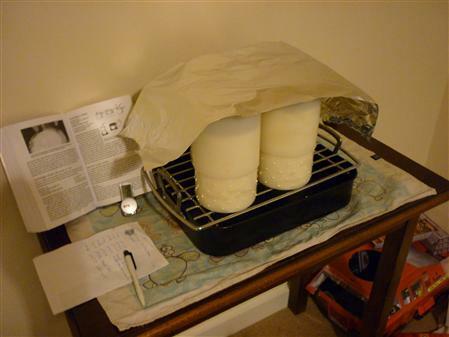 Curds have been salted and placed in drying area (18C @ 80% humidity), where they will remain for a couple of days being turned intermittently. Will update with more photos as progress is made! Looks great! I was happy with how mine turned out- I hope that you feel the same once yours is ripe. 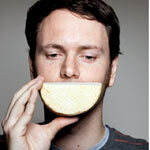 Your cheese looks ah if I could only taste it. I shall have a go but I think you have a huge amount of experience. Can you tell me where you purchased your analogue thermometer as been on the internet and cannot appear to find a stockist in the uk. 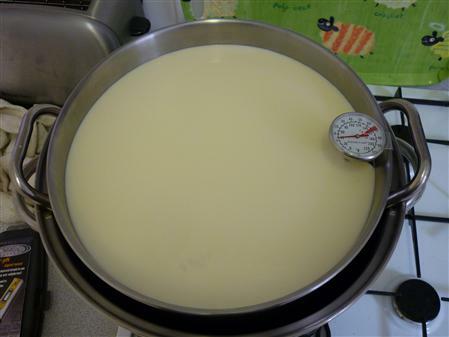 There’s a couple available from Ascott (http://www.ascott.biz/acatalog/Cheese_making_Equipment.html) – i’ve got the cheaper one, around £4 or so which works perfectly. The pan clip is really useful! 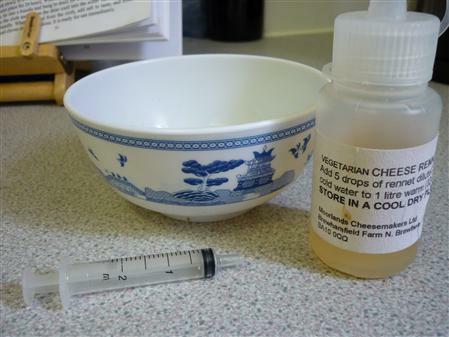 It really isn’t difficult to make cheese at all – give it a crack and let me know if you’ve got any questions!